In this in-depth post you will learn how to choose the right boarding facility, and keep your dog happy and healthy while you are apart. Every dog owner has to, sooner or later, deal with separation from its dog at some occasions, such as travel, illness or emergencies. No matter how much you love your dog, it is inevitable that you will have to be apart at some point. What Do I Do With My Dog When I’m Away? Your first instinct may be to take your pet with you. However, dog travel is everything but cheap. Furthermore, your dog may become ill during travel causing you to change your plans or you may realize that your hotel and many other places are not pet friendly. Your next option will probably be to leave your dog with friends or relatives, but often this doesn’t end up as you want it to, most often due to lack of knowledge or responsibility. Fortunately, these are not the only options. For those who have never heard of this, dog boarding is a service offered by some veterinarians, and more often, dog kennels. This service allows you to leave your dog, with professionals, for a certain period of time when you’re away, in an exchange for a fee. Some kennels are like a day care, for owners who want to leave their dog during the day because of work or other obligations, and some are more long-term, if you are planning to be away for a longer period of time. What Can I Expect From A Dog Boarding? While boarding, dogs are being fed, walked and taken care of by kennel staff. Their responsibility is to keep your dog happy and healthy. A basic boarding facility offers enclosed dog runs, regular feeding and watering, exercise and monitoring for emergent medical problems. Some facilities, the more luxurious ones, offer personalized care and accommodations at a higher level. Do Dogs Like Boarding Facilities? This is very individual and varies a lot. Some dogs love boarding facilities and adapt very easily. Others need more time to adjust and don’t like being away from home and their owner. Same goes for pet owners. While some believe that boarding is a normal thing and the best solution when you’re away, others feel guilty, worry and don’t want to leave their dog at unfamiliar territory. It is crucial that you prepare your dog for when it’s time to leave for boarding. Simple things, like making sure your dog understands basic commands or spending time with other dogs and people will help a lot and not leave your dog in surprise, once surrounded by so many new things and beings. Some facilities keep the animals all together in one big room. This may be a good choice for some pets, but it comes with a risk. With a number of different personalities and temperaments, the person in charge must be experienced in order to maintain control. 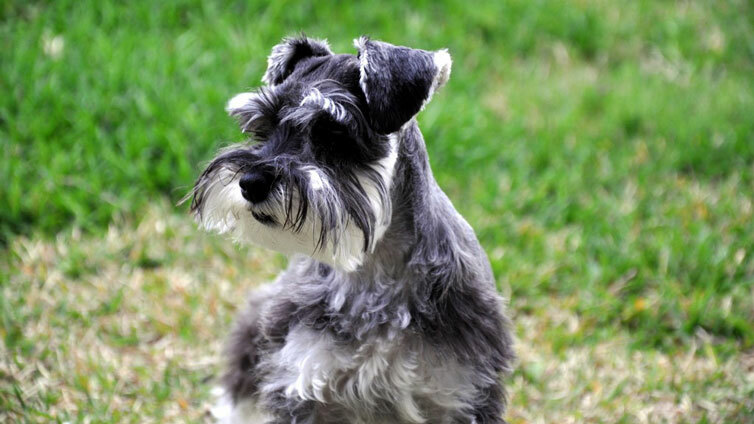 If experienced, the handler will easily know how to divide the room and sort the dogs after size and temperament. How Do I Know If My Dog Will Handle This Type Of Facility? Before you decide whether to put your dog in a facility with this type of common areas, make a visit to the facility with your dog. Look around and observe if the animals there are relaxed and happy or if they look stressed. Signs of stress could be shaking, scratching, refusing to eat, avoiding eye contact, biting, growling etc. Many vets offer this service to their clients. However, this is usually their secondary business, so the facilities may not be as modern as boarding kennels. It is possible that your dog will be in a crate all day, with only a few, short walks. Naturally, this is not the case everywhere, so once again, do your research before choosing. Also, if your dog is elderly or has a health condition, leaving it with a veterinarian is usually an excellent choice, even though good boarding facilities are equipped to deal with emergencies as well. How Do Dogs Adapt To Boarding? This depends on several factors. Many dogs are very happy at boarding facilities, while other long for home and show signs of unhappiness, such as refusing to eat. What could some of the reasons for your dog’s unhappiness be? If your dog is used to be outside a lot every day and normally gets a lot of exercise, he or she will become very restless after a day or two in a kennel. Your dog may be used to enjoying table scraps with dinner every night. Suddenly, it finds itself on a diet it is not used to, involuntarily, and starts protesting by not eating. It is not a sign of stress, but of protest. Is your dog used to a specific bed time or enjoys naps at certain hours? These routines will probably not be applicable at a dog boarding facility. As a result, your dog may feel stressed or tired. How Can I Ensure My Pet To Have The Best Time Possible At A Boarding Facility? Before leaving your dog at a boarding facility pay attention to its routines in your everyday life. That way the gaps between home and boarding facility won’t be as big and noticeable. 1. Note the amount of time your dog spends on exercise on a regular day. Compare it to the time for exercise it will get at the facility. If you realize that the time for exercise will be much shorter, prepare to pay for a couple of extra walks and runs, so that your dog doesn’t notice the difference. 2. Make sure to give your dog food without additions before boarding. Give him or her dog treats, not table scraps. If your dog enjoys a special kind of treat, send one package along to the boarding facility. 3. If your dog has a favorite toy or bed, send it along to the facility. However, this may not be a good idea if it’s a facility where all dogs are together. Dogs, like children, can be very possessive and jealous and may not want to share their toy. As a result, problems may occur between the dogs. These were some of the psychological issues your dog, and yourself, may deal with when it’s time for boarding. However, there are also some health issues you should be aware of. Much like kindergarten for children, whenever your dog is surrounded by other dogs there are certain health risks. Therefore, make sure your dog is vaccinated before boarding time. It should also be on a heartworm preventative and something to control ticks and fleas. Parasite controls aren’t usually checked at boarding facilities, unlike vaccination proof, so your dog may come home with various types of parasites if not protected. If your dog is about to receive inoculations before being boarded, make sure it is done weeks before. This will give your dog time to build up the immunity to the diseases before leaving home and encountering other dogs, as boarding it with a weakened immune system is never a good idea. To make sure your dog is fully protected, immunize him or her against rabies, distemper, hepatitis, leptospirosis, parainfluenza, parvovirus and bordetella (kennel cough). Kennel cough, or bordetella, is an infection of the upper respiratory tract and it is very contagious. A mild case of kennel cough is shown by dry hacking cough and watery discharge from the nose. In a more severe case, the dog may become lethargic, refuse meals, get a fever or even develop pneumonia. Signs usually start showing 2 to 14 days after the dog has been exposed. Kennel cough lasts about 10 days. It is spread so quickly because the dog can shed bacteria and spread kennel cough even 6 to 14 weeks after he stops showing signs of the illness. Even though you have done everything you can prior to boarding time, immunizations are not 100 percent effective. Therefore, it is important that you ask if vaccination proof is demanded at the boarding facility. If your boarding facility asks for vaccination proof, it will decrease the chance of infection and disease among dogs. Ask which vaccinations are required to be on the safe side. Now, with all this information in mind, the last, but definitely not the least, step is choosing a boarding facility. First of all, you should know what are the signs of a bad boarding kennel. Check out this useful video in order to determine if the kennel will be good or not for your pup. How Do I Choose The Right Boarding Facility? You can narrow down the facilities over the phone. Ask how they deal with sickness, how they deal with animals that seem very anxious or stressed. If you have special requests, like special food, equipment or medication you would like to send along with your dog, ask if the facility allows that and if it’s possible to make the necessary arrangements. If you have more pets and would like for them to be together, ask if that’s possible. It is important that you are aware of how you are being charged. Also, make sure to ask what is included in the price, for example if it’s two or three walks a day. Are there some additional costs, for example for late check out? And if you wish more of something for your dog, is it possible to pay for, for example, an extra walk a day? As mentioned, routines are important for your dog. Therefore, ask how often dogs get walks and exercise a day. How often are they being fed? What happens if the weather is bad? A quality facility won’t have any problem with you visiting before making a decision. Sometimes everything seems perfect over the phone, just to realize it is a completely different story in real life. Clean facilities with a lot of light should be a priority. The temperature should be comfortable and the ventilation adequate. The staff working at a boarding facility should call all pets by name and be very caring and warm. It is vital that you see that they are interested in your dog and that they will do the best they can to keep your dog safe and sound. To sum it up, let’s run through pros and cons of leaving your dog in a boarding facility while you’re away. These are the things that you can be sure of when deciding to leave your dog in a boarding facility. Safety – When leaving a dog in a boarding facility, you can be sure that your pup will be well monitored and safe. Even when they play outside, the dogs are kept in an fenced area which means your dog wouldn’t be able to escape. Also, dogs that are more aggressive towards other dogs are usually kept in separated areas in order to prevent potential conflict, so you don’t have to worry about that either. All kennels have to satisfy a list of requirements in order to get a kennel license. Therefore, sanitary conditions as well as environment requirements have to be met according the rules. Expert Dog Sitters – If you decide to leave your dog in a boarding facility, you will be sure to leave your dog with real dog experts. These individuals know how to train dogs and will surely know how to approach your dog. On the other hand, they will also much likely notice if there’s something wrong going on with your pup. Socializing – Dogs don’t like to be alone and everyone knows that. That’s why dog boarding is a good option in order to ensure your dog has good company. There are plenty of dogs at boarding facilities which will surely enable your dog to have plenty of playing and running time. Food and Medication– When leaving a dog in a boarding facility you won’t have to worry about your dog’s feeding schedule or medication routines. The dog sitters from boarding facilities are accustomed to paying major attention to these details. They will likely ask you how often and how much you feed your dog and if you give any additional supplements or medications to his regular diet. However, there are some cons too. Let’s see what could be the reasons not to leave your dog in a boarding facility. Separation Anxiety– If you’re dog is quite attached to your and your family, chances are that he will suffer while you’re away. Some dogs do well in kennels because they get distracted by other dog’s presence, while others don’t. Stress– If your dog hasn’t been properly socialized at an early age, the experience of being around a lot of dogs might make him feel intimidated. In addition to changing his environment, the entire experience might be quite stressful to him. Make sure you bring all of your dog’s favorite toys, his bed, food and treats so he can be as calm as possible. Limited Exercise Time– Not all kennels enable unlimited exercise time for dogs. So if your dog is used to having plenty of exercise time on a daily basis, his exercise needs might not be met in all boarding facilities. This means your dog might end up with being too pent up with energy which can cause some problematic behavior while in kennel. 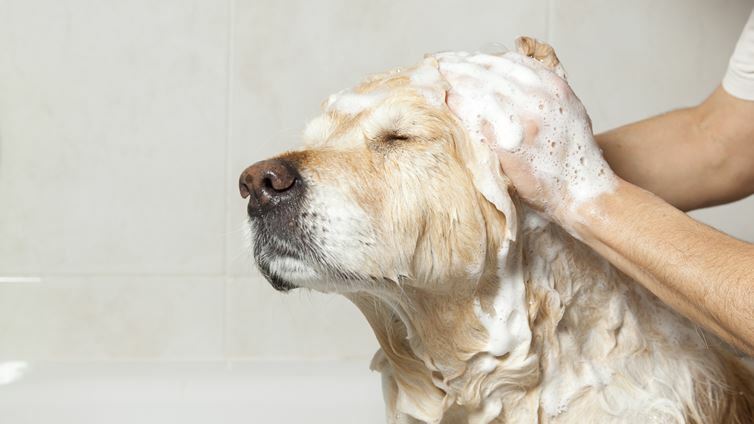 Make sure you explain how your dog’s daily routine looks like in order to avoid this. Health Problems– Kennels and boarding facilities, just like any other space that is full with dogs, can be spaces where dogs can contract new diseases. This is especially true for dogs that suffer from chronic illnesses or those dogs whose immunity isn’t completely formed. As we can see from the information above, there are a lot of things to think about before boarding your dog. No one likes being away from their pet, but it is important to keep in mind that sometimes it is much easier, and much more logical, to leave your dog with professionals who will do their best to keep your dog happy for the time you are away. Just make sure to ask a lot of questions before choosing a facility, try to prepare your dog for boarding time and you will find a solution that works for both you and your dog!